It is Dr. Stephen Esposito’s great honor to help his patients to look and feel their best by providing treatment options that suit their needs. 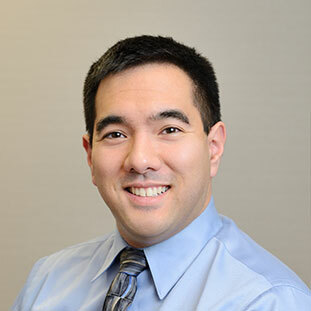 He takes pride in being a solid practitioner, but even more in caring for people with patience, thoughtfulness, and a genuine desire to serve his patients’ every oral health need. Dr. Esposito looks forward to providing you and your family with compassionate, caring, respectful, and patient-centered treatment. Dr. Esposito is a graduate of the University of Detroit Mercy, where he earned his Doctorate of Dental Surgery. Just as he is passionate about educating patients, Dr. Esposito is equally as passionate about keeping up to date with his own education. It is his goal always to have versatility in treating patients, from the very young to the elderly, and to provide sincere, honest solutions to all dental problems. Through his memberships with the Arcolian Dental Arts Society and several other local and national organizations, Dr. Esposito has continued his education in implant restoration, CEREC® crowns, aesthetic dentistry, and pediatric specialty care. Dr. Esposito is originally from the western suburbs of Chicago. He lives with his wife and two sons, and loves spending time with them when he’s not exploring new culinary adventures in the kitchen.